The members in this very small family, which includes only 2 genera and 6 species [Updated 24.03.17], were orginally placed in the Chactidae. In a revision in 1992, they were placed in the family Superstitioniidae. Later, they were placed in a new family, the Troglotayosicidae, by Lourenço. Soleglad & Fet (2003) transfered the genus Belisarius to Chactidae and the genus Troglotayosicus to Superstitionidae. This desicion was challenged by Prendini & Wheeler, 2005, but upheld by Fet & Soleglad, 2005. The Scorpion Files has so far followed the systematics of the latest published work, but because several authors lately are using Troglotayosicidae in their works on Belisarius and Troglotayosicus, I've chosen to reinstate Troglotayosicidae in The Scorpion Files' species list. Hopefully, future studies will be able to conclude on the correct taxonomic position for these enigmatic scorpions. The species in this family are are either cavernicolous (cave dwelling species) or living in areas just outside caves, but all have troglomorphies like loss or reduction of eyes, depigmentation and appendage attenuation. 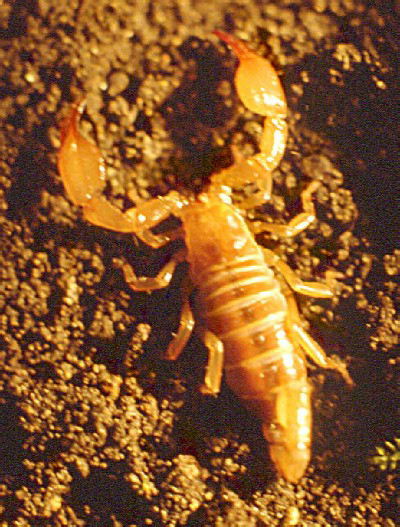 Some species are found among leaf litter in montane forests. Troglotayosicids are found in Europe (a small area in Spain and France) and in Ecuador and Colombia in South America. No scorpions in this family have been reported to occur in captivity except for a handful collectors in Europe keeping Belisarius (myself included). 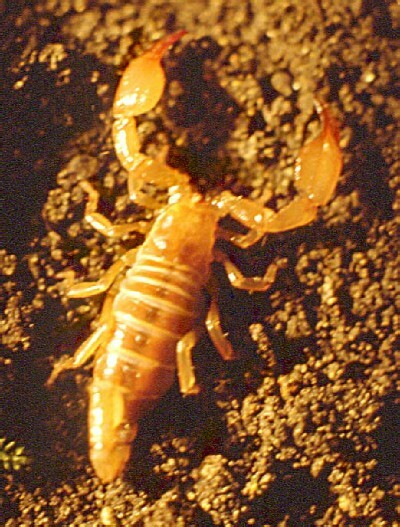 No data have been found about the venom of these scorpions, but they are probably harmless.